This was just the first day of eight, so you can be sure that there are many many more big fish and great photos to come. You’ll have to wait until the first issue of the new FortyOne Degrees magazine for the full report. Trust me, it’ll be worth it. Locally Produced: Zane caught this 11lb brown trout in Murchison with his friend Tony Entwistle. The variety and diversity of angling opportunity is probably unmatched. I couldn’t agree more and often think back to when Pete and I began our guiding careers together in the mid-80s around the Nelson Lakes and Murchison areas. They were halcyon days and we were just the latest in a long line of anglers intent on exploring and enjoying the rivers of Murchison. I still fish these rivers and Murchison has become a playground for anglers from all over the world. Murchison is situated on the Four Rivers Plain – the flood plain of the Buller River, which flows through the centre of town, fed by tributaries the Mangles, Matiri and Matakitaki. The thing that has always impressed me about the Murchison area is the people, and we anglers are lucky that Murchison landowners are so generous with access to the rivers. Developing relationships with many of these local families, watching their kids grow up, and enjoying good times along the way have made the fishery even more special in my mind. Immediately after the earthquake, my grandfather Ash and his twin brother, Bryce, managed to ride and carry pushbikes through the mangled one lane Buller Gorge road from Reefton in a futile attempt to help their sister. Later, it took 18 months with pick, shovel and saw to re-open this vital link to the West Coast. Ironically, the road works and repair to the land after the earthquake created many jobs and insulated Murchison from the worst effects of the 1930s Depression. 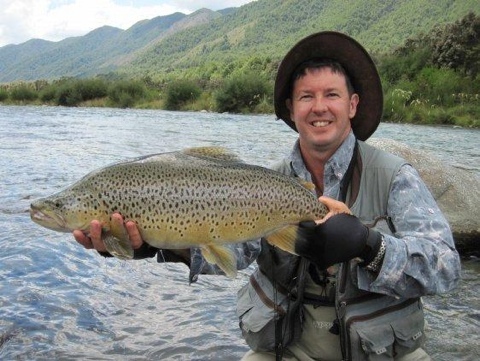 opportunity is probably unmatched, with trout-filled small, medium and large freestone streams and rivers at virtually every point of the compass. Nearby are the waters of North Canterbury’s Waiau system to the south, the Grey and Inangahua catchments to the west, the Wairau catchment to the east, and the Motueka and its tributaries to the north. The Buller River itself is a worthwhile fishery, but a shadow of its former glory due to the invasive alga didymo, which has choked the upper reaches above Murchison. 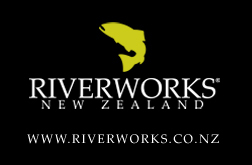 Its stranglehold on the rivers of Murchison is expanding, but it isn’t the end of the world because the worst affected areas are the mainstem Buller and the Gowan River, which come out of Lakes Rotoiti and Rotoroa. Tributary streams that are not sourced from fertile lake waters seem to have fared much better. 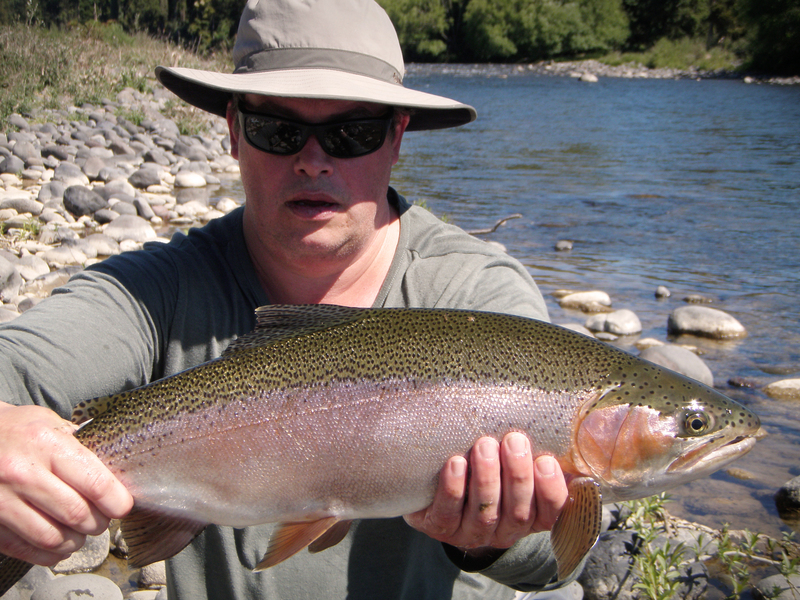 Virtually every river and stream in the Murchison area now has didymo, but even when its presence is heavy, the fishing can still be good, and excellent trout fishing can be had in areas that many anglers avoid. 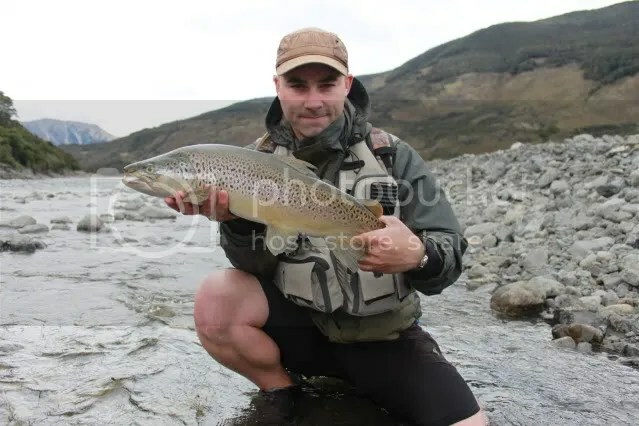 The Matiri River is a great fishery for small to medium-size trout, but can be a little tough to fish these days, with a lot of didymo present, possibly due to the fertility effect of Lake Matiri. river already has a rich history of intensive human use, including heavy mining activity in the late 1800s. 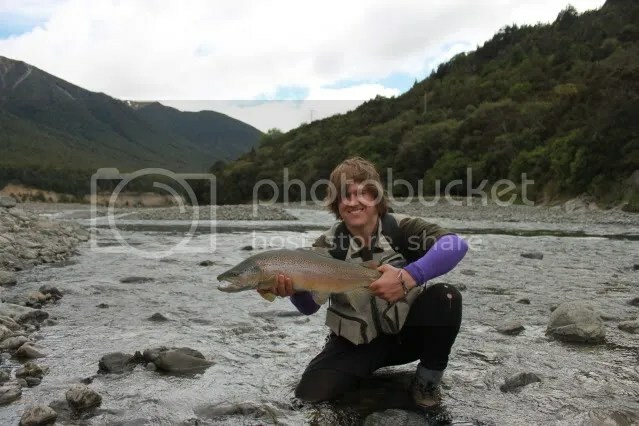 The Mangles River, along with its major tributary, the Tutaki, is a lovely fishery and I have great memories of wonderful days on-stream. There are some great scenic drives up these valleys, such as the track over the Braeburn saddle leading to Lake Rotoroa or the road through to the upper Matakitaki and Mataki Station. the apple of my eye when I was a boy, and it was where I learnt to fly fish and hunt with my father, Stuart. 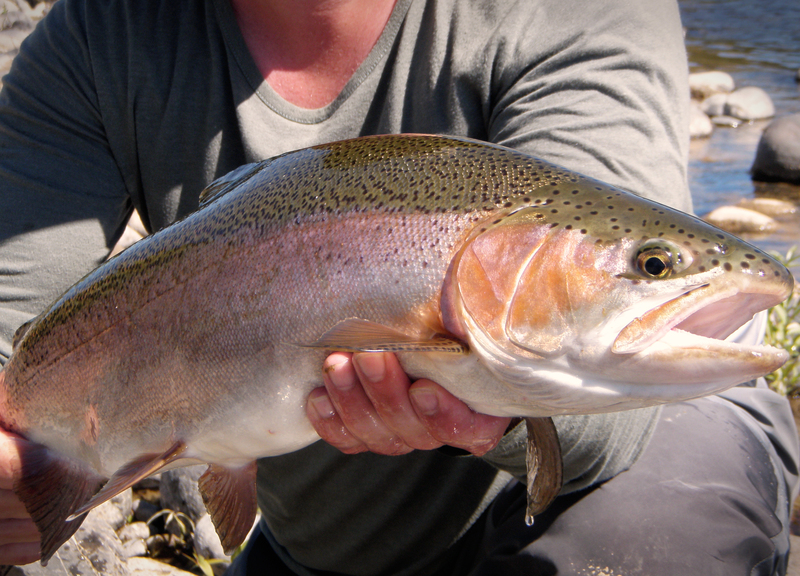 To the south of Murchison is another great trout river, the Maruia and tributaries. 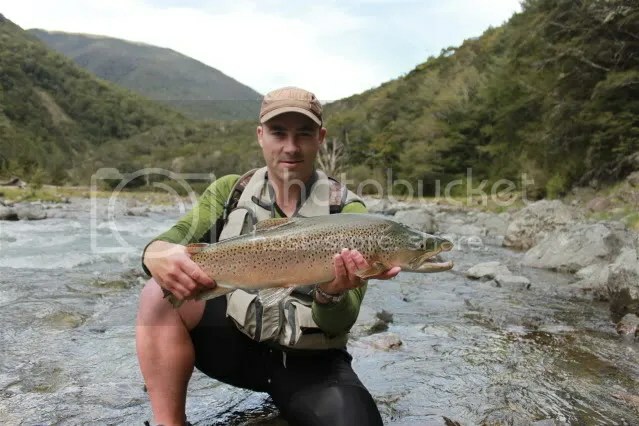 The Maruia has always been revered as a fish factory, and this year the bonus for south bank tributaries such as the Maruia and Mataki has been some large mouse-fed trout, many into double-digit weights by imperial measurement. However, there have been some low catch rates around Murchison the past few months. Many anglers and guides have told me their fishing has been the worst in living memory. Fish and Game field officer Lawson says recent assessments of trout populations have shown up excellent quantities of medium and large fish. He believes that with so much trout food around this year, the fish don’t need to feed as often or for as long, making them less vulnerable to capture. Let’s hope this is the case and that the Murchison fishery is in good shape for future generations to enjoy. The Murchison area, people, land, rivers and trout fishery will always be special in the minds of many. Recently Murchison dairy farmer Ken Caldwell struck a chord when he talked glowingly about his new farm in the area and described how he was ‘‘farming it already in my mind’’. Fly fishing addiction and love of rivers is no different and I, for one, will be fishing the trout streams of Murchison in my mind forever. No…this isn’t THE report. I’m still getting round to that. But don’t worry, the first installment will be out in a few days time.